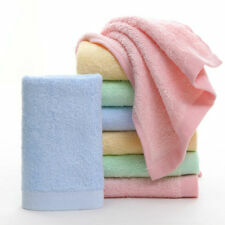 Features: soft, comfrotable,antibacterial,washable. Material: 100% bamboo fiber. 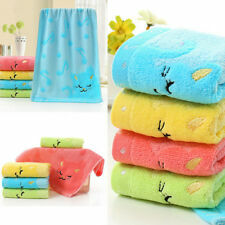 Type: baby towel. Color:Green,Yellow,Pink. For age: 7-9 months babies. Made of high quality bamboo. 64 x 15 x 3.5 cm. New HAVERN Towel rail, double. Towel rail, double HAVERN. IKEA of Sweden. Made of bamboo, which is an easy-care, hard-wearing natural material. Bamboo, Clear acrylic lacquer. Length: 60 cm. Depth: 13.0 cm. Anti - Slip Pads for added safety. Grooved design for added comfort. Exceptionally smooth lacquered finish. New RÅGRUND Towel rack chair. Bamboo is a hardwearing natural material. Towel rack chair RÅGRUND. Bamboo, Clear acrylic lacquer. David Wahl. Wipe dry with a clean cloth. Wipe clean with a cloth dampened in a mild cleaner. Made of premium bamboo, it is natural, rustic and durable. It is anti-slip and protects your feet from cold floor in winter when you stand on it. This duck board adopts premium natural bamboo, high quality, rustic, strong and durable. 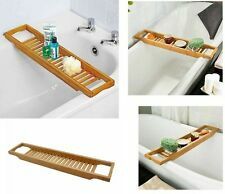 Bamboo Wood Slatted Duck Board Rectangular Bathroom Bath Shower Mat 60CM. Made of premium bamboo, it is natural, rustic and durable. It is anti-slip and protects your feet from cold floor in winter when you stand on it. Need extra storage space in your bathroom?. You can place your bathroom utensils and hang your towel at its bottom level. Material: Bamboo. Please click on Read More for full product details. Trespass Wickerman Bamboo Sports Sweat Absorbent Towel Bike Gel Seat Cover. Condition is New. Dispatched with Royal Mail 2nd Class. "Bambus" BF14196 From Blue Canyon. 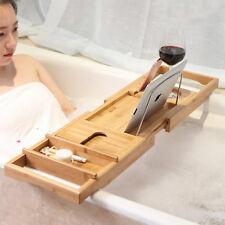 Bamboo Bathroom Mirror With Shelf. Wall-Mounted Bathroom Mirror in Bamboo. Featuring Integrated White Shelf. Wall Hanging With Fixings Included. You Will Always Get The Item You Paid For, in New Condition. Solid Oak Bathroom Furniture Basin Cabinet 45cm Wide x 45cm Single Door IVO45. Made using Kiln Dried Solid Oak throughout, including the back, side panels and adjustable internal shelf. Supplied fully assembled ready to be installed in your bathroom. Cloakroom Oak Cabinets. Washstand / Shelf Sets. Cube Range Cabinets. Bathroom Basins. Corner Oak Cabinets. Coloured Oak Cabinets. Counter Mounted. Oak Shelves. Towel rail, double HAVERN. IKEA of Sweden. Made of bamboo, which is an easy-care, hard-wearing natural material. Bamboo, Clear acrylic lacquer. Length: 60 cm. Depth: 13.0 cm. Height: 10.0 cm. Width: 13 cm.